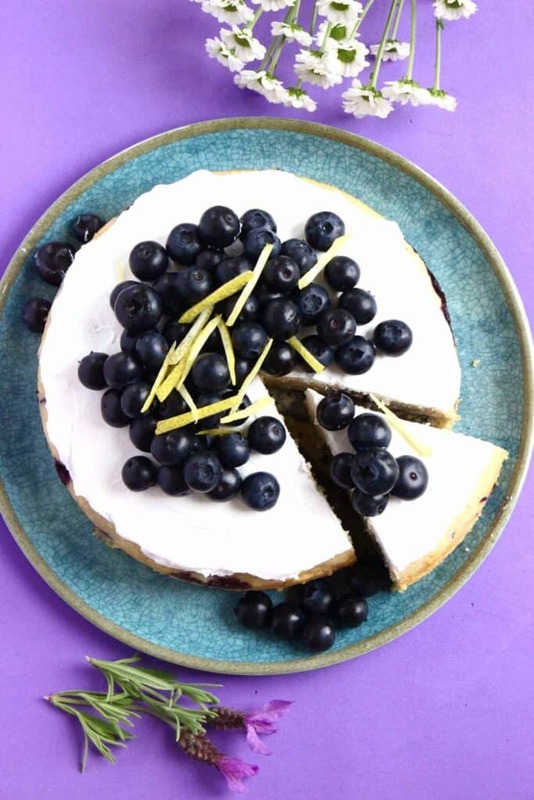 This Gluten-Free Vegan Lemon Blueberry Cake is so easy to make, super fruity, and is topped off with a delicious and healthy “cream cheese” frosting. perfect for birthdays and other occasions! 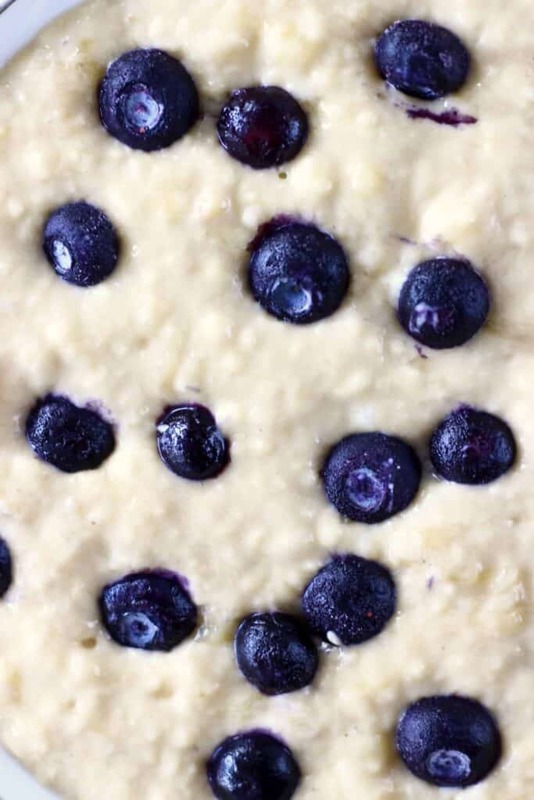 if you can’t get hold of coconut milk for the frosting or are feeling lazy, you can use a thick coconut yogurt instead, which adds a lovely fermented flavour reminiscent of real cream cheese, as well as a ton of gut-friendly probiotics! 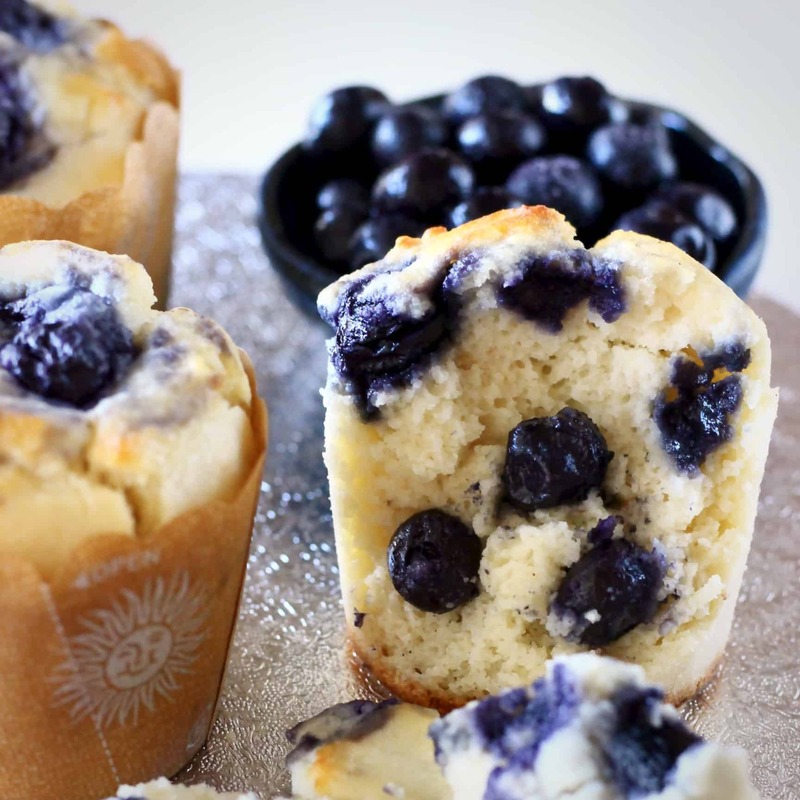 Make sure to use the right amount of baking powder – 2 heaped teaspoons! Use too little baking powder and your sponge won’t be fluffy, too much and it’ll have a bitter taste. 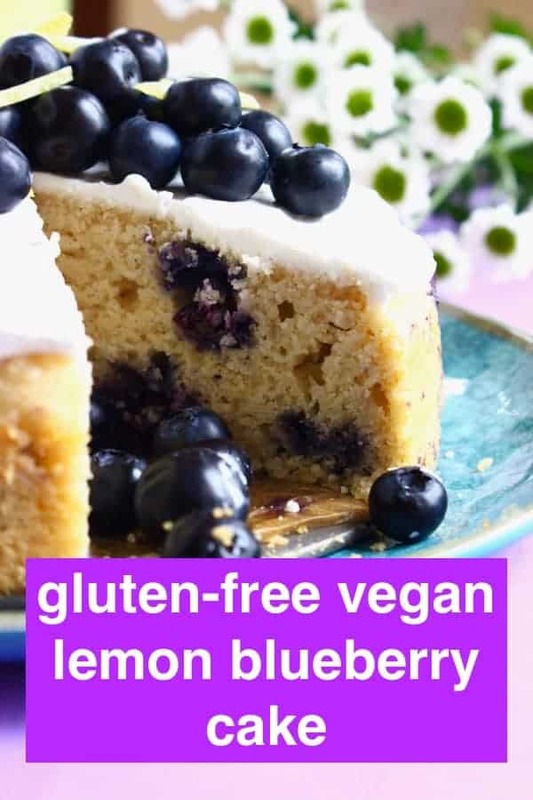 Adding the lemon juice is crucial as it’s acidic, which means it reacts with the alkali bicarbonate of soda to create a bubbly batter, and fluffy sponge. If you can’t get hold of lemon juice, add a teaspoon of apple cider vinegar instead. 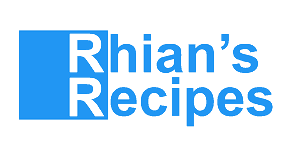 Make sure to use an all-purpose shop-bought gluten-free flour blend (or a homemade gluten-free flour blend), as opposed to just using any type of gluten-free flour you can find (such as almond flour, coconut flour, buckwheat flour etc). Make sure the cake has cooled completely before applying the frosting, otherwise the frosting will melt! 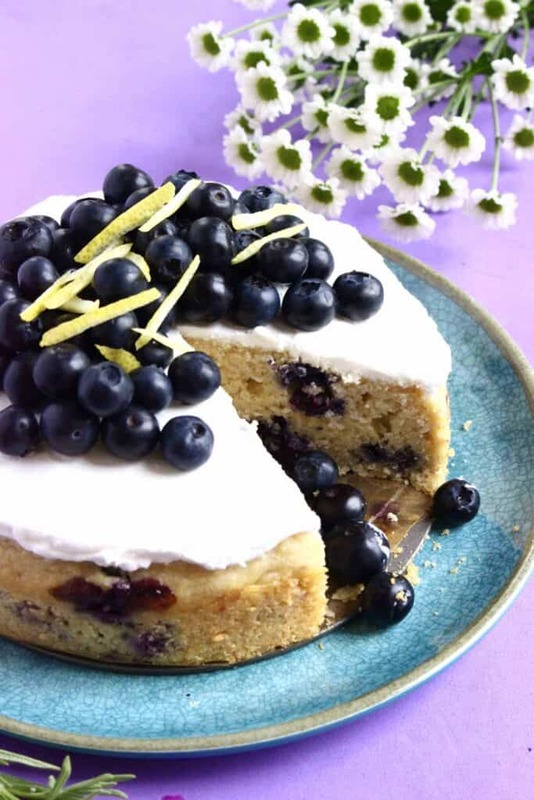 HOW LONG does this LEMON Blueberry Cake KEEP FOR? 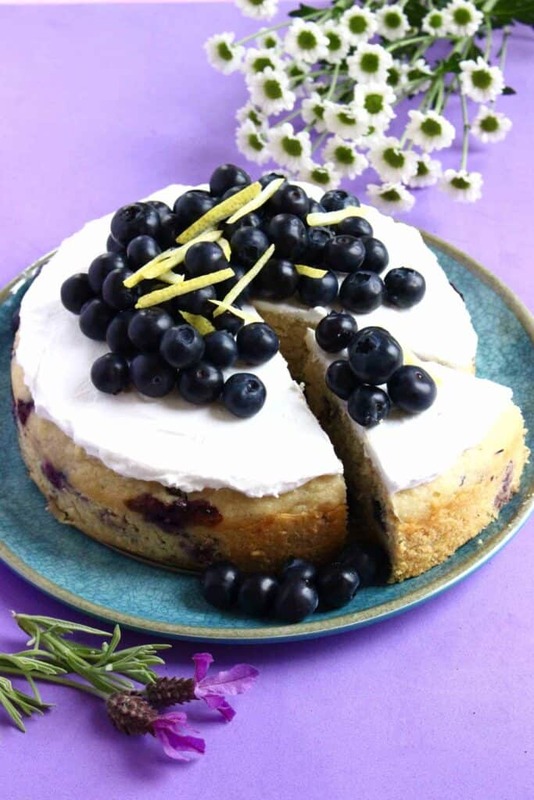 Although this cake does taste best when fresh, it does keep well covered in the fridge for up to a few days. 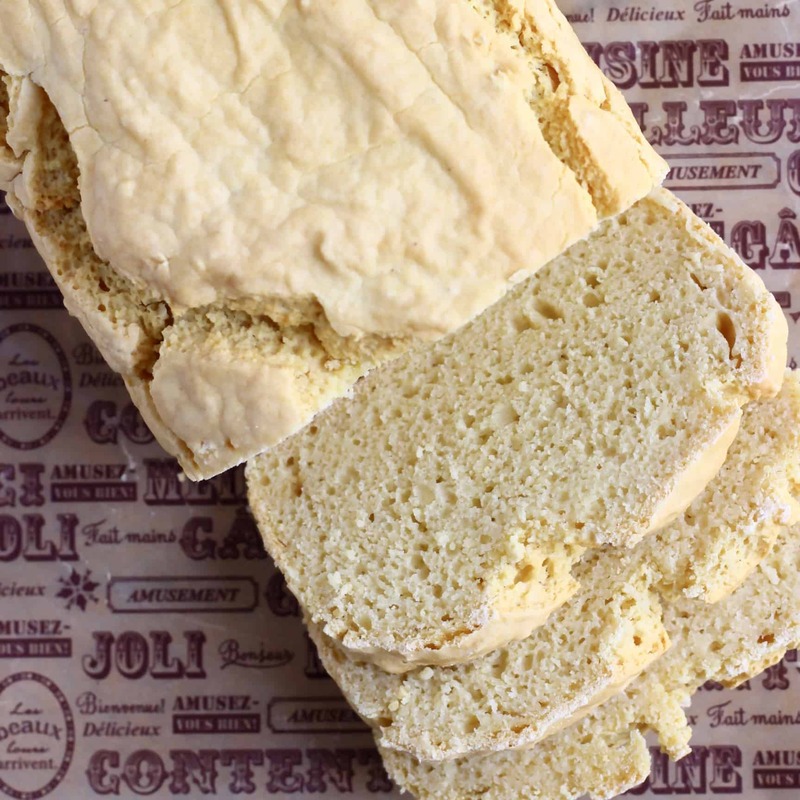 For super fluffy frosting, you should make it fresh just before serving, but the frosting will retain its shape and texture for a good few days. 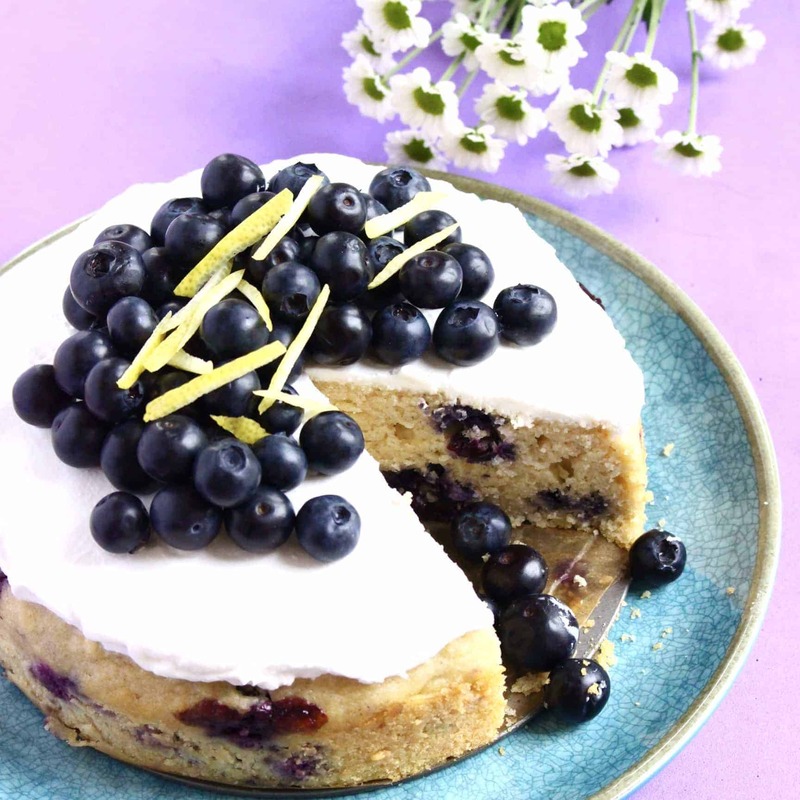 This Gluten-Free Vegan Lemon Blueberry Cake is so easy to make, super fruity, and includes a delicious cream cheese frosting! 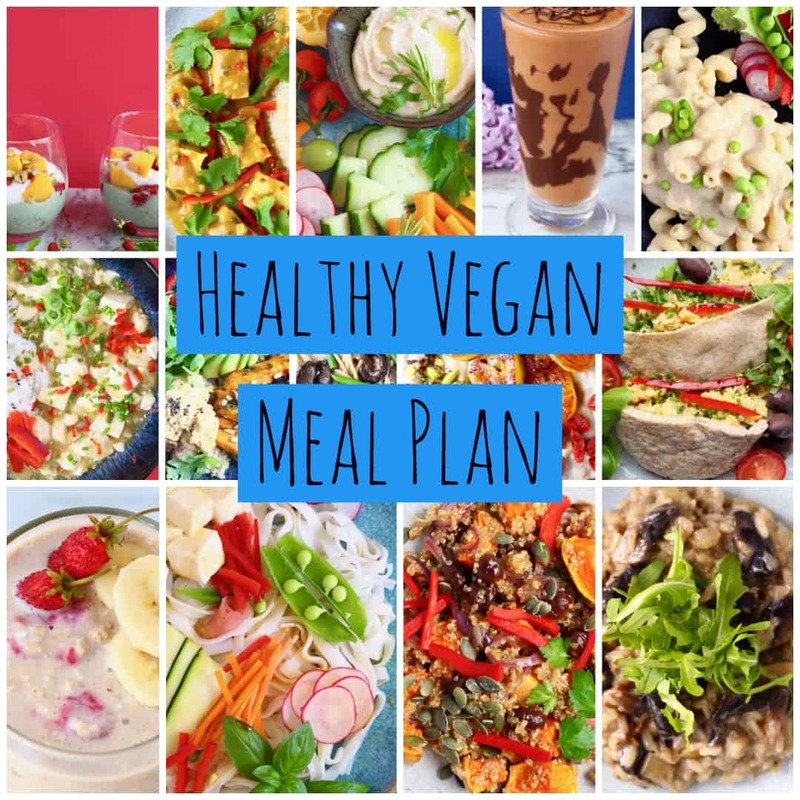 You’ll need to keep your tin of coconut milk in the fridge overnight for the rich creamy bit to separate from the watery bit at the bottom. Make sure it is full fat coconut milk, otherwise this separation won’t happen and you won’t be able to make this cream! Hi Can you substitute the flour with more Almond flour? No sorry that won’t work! You can use buckwheat flour though. Could you just use sugar instead of maple syrup? 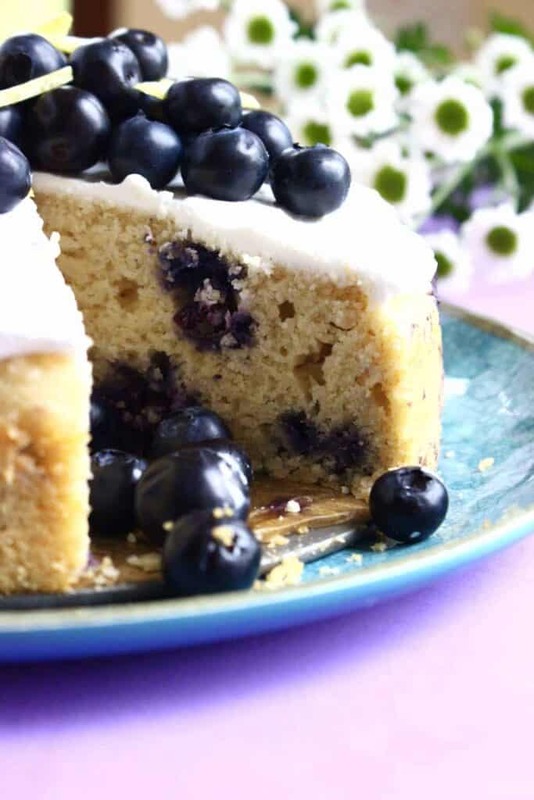 Yes frozen blueberries are fine – you can add them to the batter frozen!